Real-time visibility into your supply chain is critical for effective logistics management—but without taking time to analyze this data, you might still be leaving yourself open to problems. Here are five important factors to monitor when your cargo is in transit. The ability to track the location of containers or individual shipments—down to the level of an individual pallet, or even a single parcel—provides a means to anticipate problems and head them off before they occur. Combining location data with geographical information system (GIS) mapping can show you exactly where each shipment is and can provide additional crucial information to avoid potential delays and other impediments to a smooth shipment. 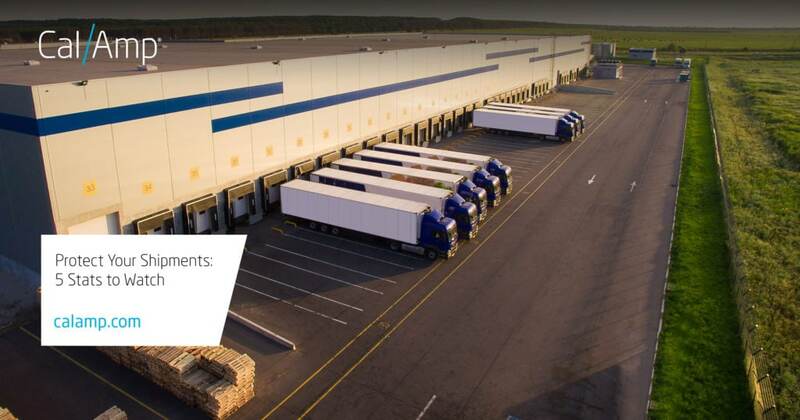 Smart devices and sensor tags help create geospatial pairing or the connection between the geo-location of a pallet or parcel and its delivery location. The virtual connectivity makes it easy for the recipients to track shipments themselves, which should result in higher customer satisfaction. This technology also enables automatic delivery confirmation, leading to streamlined auditing for compliance and better forensics in the event that there is a problem with the shipment. Dwell time, the amount of time a shipment sits at a transfer point between modes, can have a huge negative effect on supply chain efficiency. As just-in-time shipping becomes more common in response to volatile demand fluctuations, this impact will only increase. The antidote to excessive dwell time is a data-driven collaboration with your key logistics partners throughout the supply chain. With real-time visibility into the mode and location of every truckload, container or pallet, it is possible to anticipate and mitigate dwell time and other delays. For example, if a port, warehouse or customs broker is overloaded it may be possible to re-route a shipment to another nearby location for processing. It might seem counterintuitive, but those in the know are aware that an early arrival is just as serious a problem as a late arrival. Retailers are increasingly imposing penalties and taking other measures against premature deliveries, as these early arrivals cause inventory backup and other expensive problems for them. With relentless competitive pressure, retailers depend on a reliable, predictable flow of products and reduced in-stock inventory. It is more and more important to hit the delivery window precisely. With strict controls such as the ELD mandate in place, there is less wiggle room for drivers to adjust their schedules. As a result, it is crucial to track and study any deliveries that occur too early—or too late. In areas where transportation infrastructure and networks are sparse, any disruption can have far-reaching effects. In a worst-case scenario, such a region does not provide any alternatives when a problem occurs and shipments stop dead in their tracks. There could also be an increased risk of potential theft. Identifying and marking these locations ahead of time can help your operation prepare for both proactive and reactive strategies in case of a supply chain problem. By monitoring these metrics and sharing the information among all partners throughout your supply chain, you can continue to drive efficiency while protecting shipments from unexpected delays and disruptions. At the heart of this strategy is geographically-aware, real-time location and condition monitoring technology. To learn more about how CalAmp can help you protect your shipments, visit our Visibility and Risk Management page here and download our solution brief.